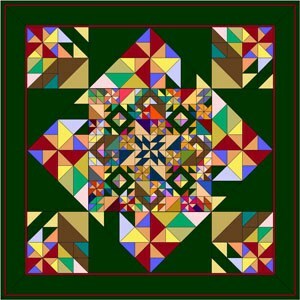 Design a quilt or two that uses blocks that use primarily half-square triangle units for patches. You can do a Search in the Block Library ”by Category” to aid your selection of appropriate blocks. Color the blocks as desired. 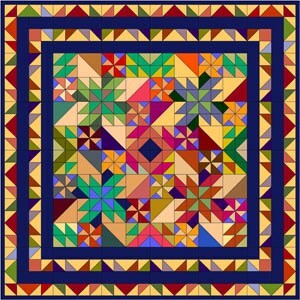 Depending on your chosen construction method for half-square triangle units, you could use leftover triangles to make a second quilt!